Ran into a group of cool dudes while at the event last week, one of those dudes being Sy. He not only let me buy a spare set of tie rods off of him when I bent one of mine, but it turns out he also takes badass pictures! This first one is of the CF pits. 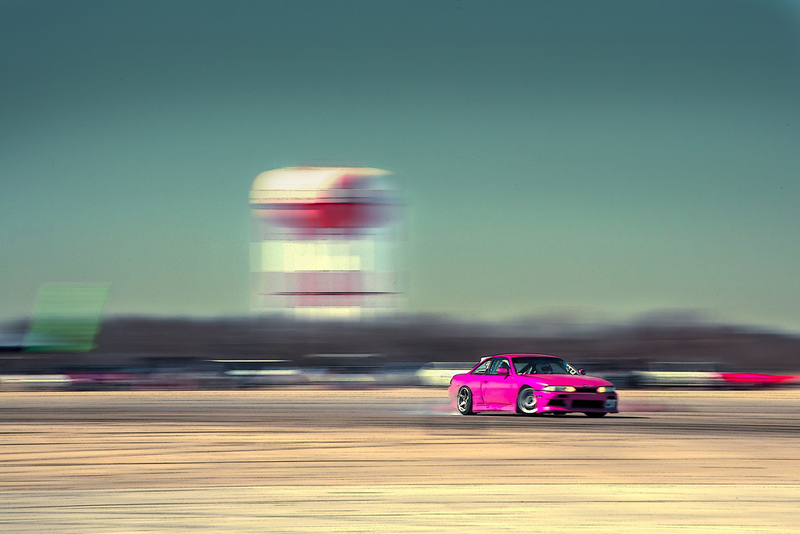 My pink S14, Andrey’s RB25 S14, and Rob’s JZX90 Chaser. 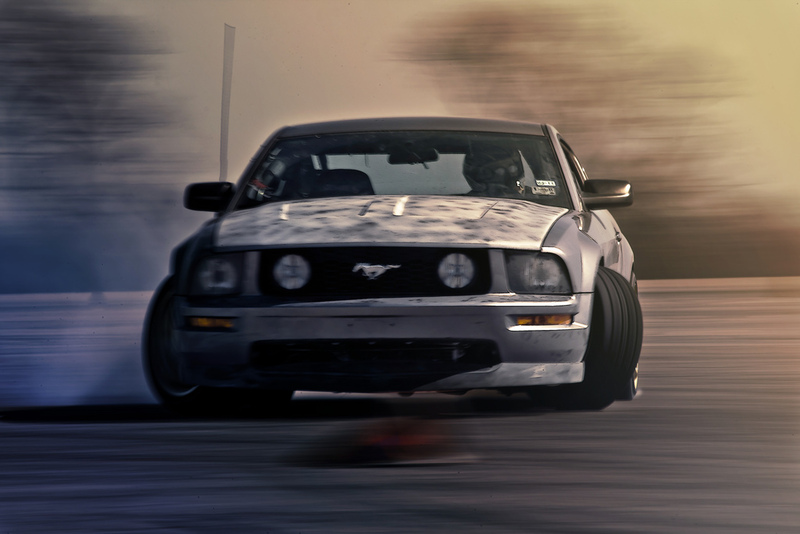 Now they get a little more artsy ^^ This is Aaren Smith’s Driftstang. 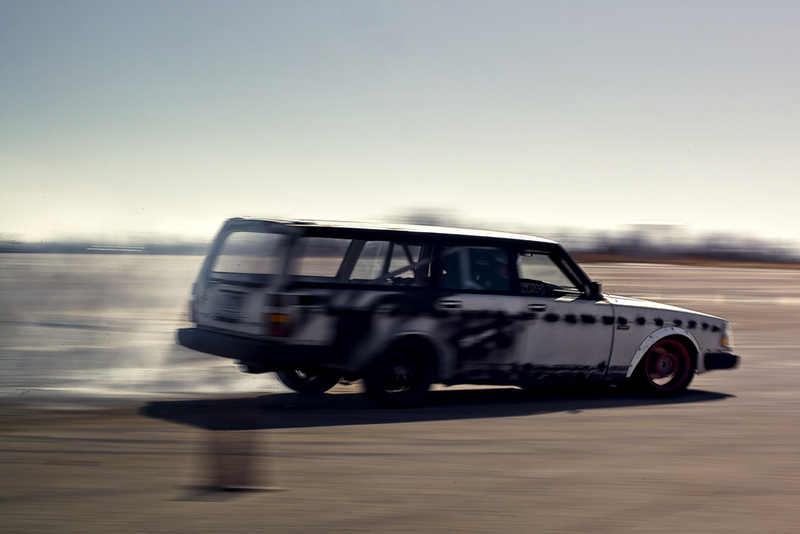 This car looks soooo good sideways! Here’s one of rob gettin’ busy in the Chaser! Maybe the prettiest picture of the S14 I’ve seen! Wow! Ryan Tuerck and Tony Angelo of Drift Alliance were there too, giving the other drivers some instruction. 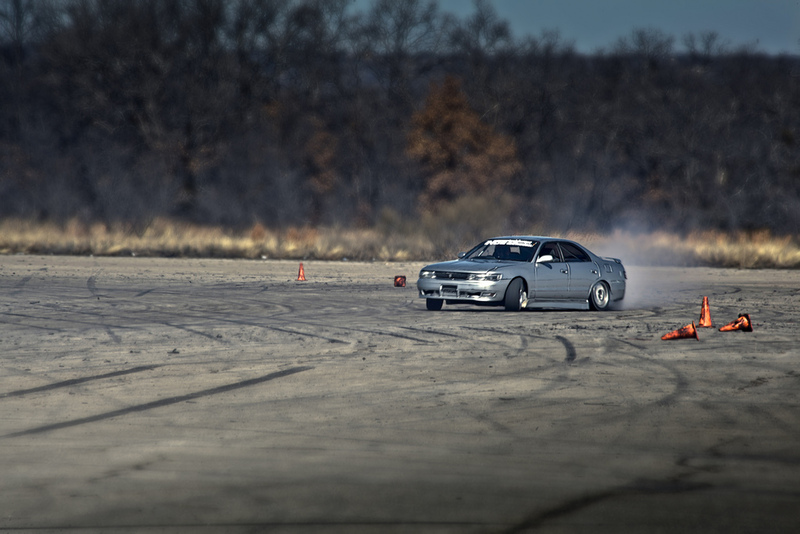 Ryan’s 2JZ S13 is super mean, I think he did a burnout in this thing all the way up to the initiation point, haha! Last but definitely not least; you definitely don’t see this everyday, especially in the US. If memory serves me, this Volvo wagon was powered by a Chevy small block, and it looked amaaaaazing getting way too much angle, and pulling out of it with all those torques!! So much fun to watch! Thanks so much to Sy for taking all these awesome pictures, and actually, there’s a lot more! Check out Sy’s coverage of the event here, and check out his Flickr here!